The extract obtained from the plant Stevia rebaundiana is commonly referred to as stevia. One of the common ingredients obtained from this plant is rebiana or rebausioside that is used as a sweetening agent in the preparation of beverages and food drinks. The rebiana is recognized as a safe sweetener by food and drug administration (FDA), but are there any side effects of stevia on long term use? Let’s find out! Based on the extensive data and reports of clinical trials, multiple side effects are reported with the use of stevia. Some of the stevia side effects are severe enough to significantly affect the functioning of physiological system. Stevioside consumption is associated with adverse effects on the muscular system that is marked by myalgia (pain in muscles), loss of strength, power and tone of muscles and varying degrees of dizziness. Most effects are resolved within one week; however, long term use is associated with hypotension and circulatory deficits. Patients with known history of hypertension must use this with caution as stevioside can significantly decrease the systolic and diastolic pressure. Additionally, stevia use is also associated with increased sodium loss in urine, compromised renal perfusion that may lead to alterations in the normal urinary flow. It is recommended that patients with a compromised renal system must not use this stevia as the safety data is not available. Regular use of stevia has been known to slow down the metabolism and other vital processes in the body. Research also indicates that the active compounds interacts with dietary nutrients and alters their metabolism and digestion in the body. One of the possible side effects of stevia is that regular use of stevia on long term basis can lead to defects in the sperm production. Studies indicate that male who consumes large doses of stevia over long period of time may experience a decline in the production of sperms. It also reduces the number of offspring’s by interfering with fertilization mechanism. 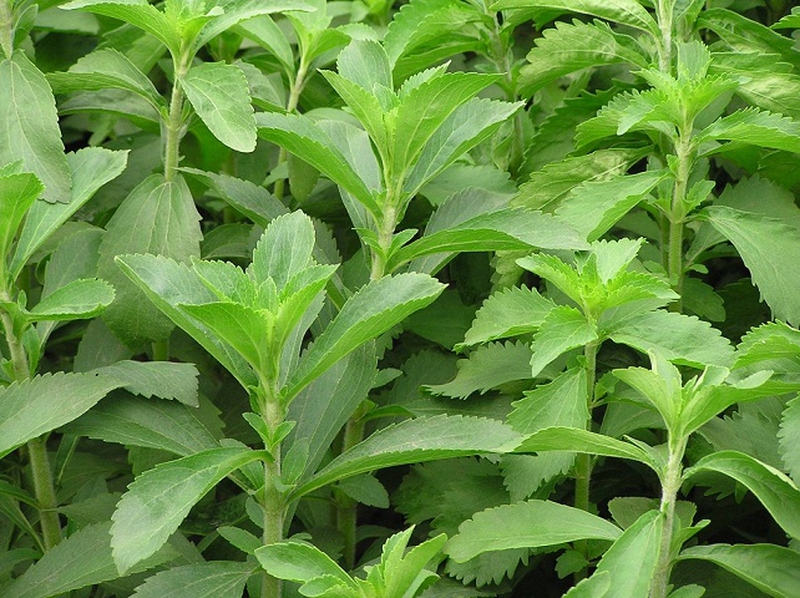 The debatable question is the presence of steviol in the stevia. Steviol is a known mutagenic (a substance which has the ability to cause mitotic divisions in cell and causes cancer). Long term studies and researches are not yet present to support this assumption, but it is recommended to use stevia with caution and under specified doses. One of the major constituent present in stevia is steviosides and this constituent has the ability to cause irritation in stomach. Other stomach problems such as flatulence, decreased hunger, nausea, abdominal fullness and bloating are also observed with regular stevia use. In rare cases, allergic reactions could be one of the possible side effects of stevia. In fact, individuals who have a known allergic history to marigold, daisies or ragweed are at a greater risk to develop hypersensitivity with stevia. The symptoms of allergy may range from hives, dizziness, weakness and wheezing to even severe complications. Ingestion of stevia with lithium can cause lithium retention in body leading to its toxicities. It can cause interaction with anti-diabetic medications, as it is known to cause hypoglycemia. It can also cross-react with anti-hypertensive medications. Patients taking anti-hypertensive drugs must use this after consulting with pharmacist. Although the major constituent of stevia (rebiana) is considered safe by Food and Drug Administration, but the safety and efficacy of extract is still under research. The current safety considerations are based on the ingestion of a specific amount (1500 mg/day) for a period of up to two years. However, limited data is available to ascertain if long term use of stevia is safe. Stevioside (a chemical constituent present in stevia) has the ability to lower blood glucose concentrations. Individuals who are diabetic and use anti-diabetic medications are advised to take stevia with precaution. A regular monitoring of their blood glucose levels is recommended. Stevia is still considered as a product under research and is not approved by food and drug administration for use in USA. There are also some potential side effects of stevia; and for this reason, the use of stevia in pregnancy is contraindicated. It is better to use the products which have a safe profile instead of using this debatable product. Stevia is a product with low calorie count, which makes it a suitable ingredient for several weight loss preparations. It is to be noted that it is not a magic bullet which will reduce weight magically. Do not think that the more stevia you take, the sooner you'll lose your weight. So intake of stevia should be maintained in specified safe amounts. Server responsed at: 04/20/2019 10:51 p.m.